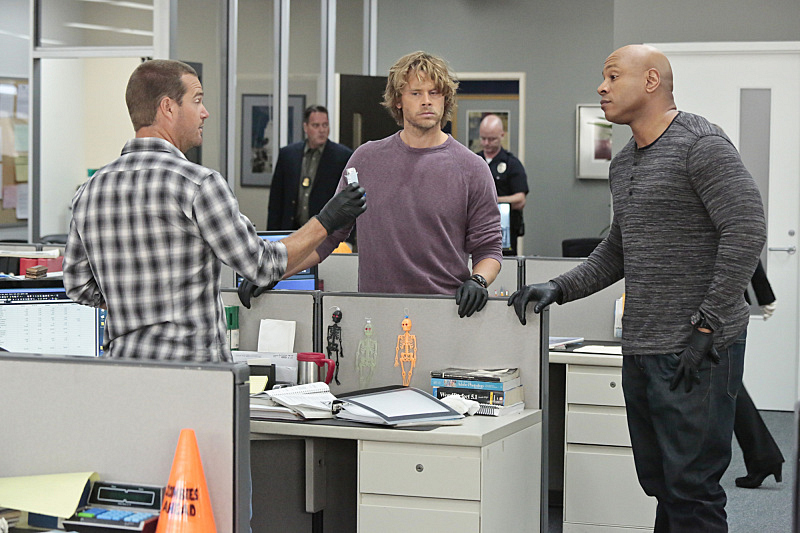 Pictured: Chris O'Donnell (Special Agent G. Callen), Eric Christian Olsen (LAPD Liaison Marty Deeks), and LL COOL J (Special Agent Sam Hanna). Callen and Sam head to Mexico to track down the only employee who managed to escape a professional shooting at the Department of Defense. Meanwhile, the rest of the team works to uncover the motive behind the shooting, on NCIS: LOS ANGELES, Monday, Oct. 27 (10:00-11:00 PM, ET/PT) on the CBS Television Network. Magician Bill Malone and John Billingsley Guest Star. Photo: Richard Cartwright/CBS ©2014 CBS Broadcasting, Inc. All Rights Reserved.